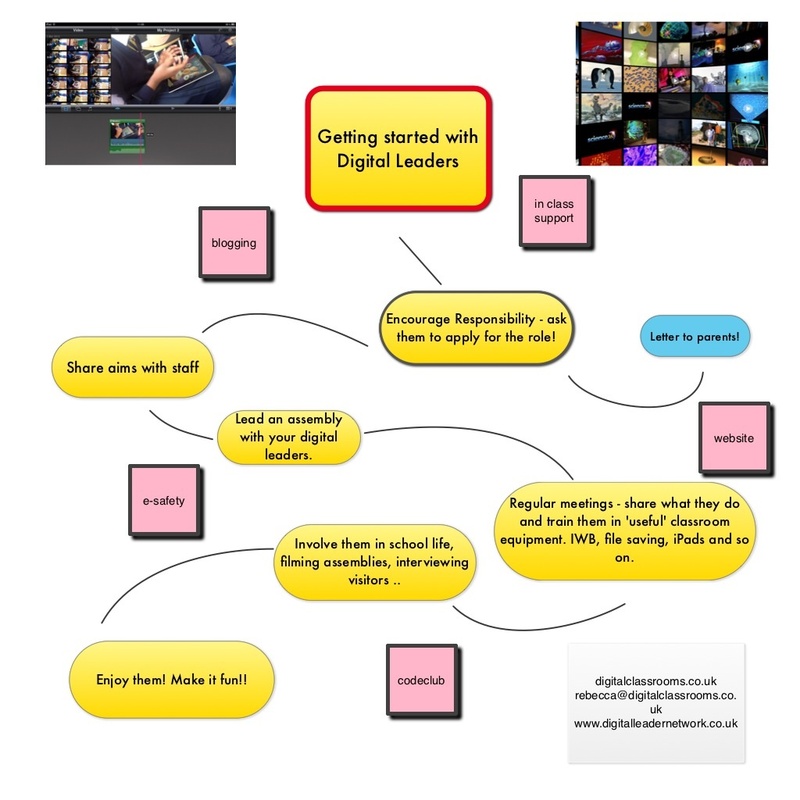 Using Digital Leaders in school has been one of the easiest decisions I’ve made! Thanks to a really great showcase of blogs and community at the Digital Leader Network site it is really easy to get involved! Digital leaders are, at the basic idea, pupil monitors for the tech that is used in schools. They are children who are interested, enthusiastic and thanks to training, knowledgeable! They spread good behaviour with technology, support teachers and are able to showcase what is possible. And, importantly, they develop their own skills and become a showcase for what is achievable! Giving the children, and indeed the teacher a high profile, with the title, badges and official roles will benefit all involved. Digital Leaders are trained to carry out specific jobs regularly (such as emptying the photo roll on iPads weekly…) and can support teachers when needed, (printing all of the presentations from DropBox). They will also support pupils when blogging, can have access to some passwords and get to try new technology. Promoting their role means that teachers and parents will take them seriously, and the experience they get from this will be very valuable! What have digital leaders done? Digital leaders can take part in staff meetings, parent meetings and can be on ‘duty’ – I use a rota to encourage the leaders to take responsibility for what they are doing each day. They can also be advocates and ‘champions’ of technology: demonstrating it’s use to the rest of the school. – Encourage the children to ‘apply’ for their role. This will encourage a sense of ownership and excitement. – Let parents know! Permissions for photos and things are a must anyway..
– Explain their role and the idea to staff, it’s nice to get the children to introduce themselves in an assembly as well. – Do check out the great Digital Leader Network, the community is awesome – and get on twitter too!! But don’t just take my word for it – take a look at how others are using Digital Leaders. Posted by RS on March 20, 2013 in Teaching and Learning and tagged digital leaders, pupils.